In a world where third graders have cell phones and middle school students are striving to be “Insta-famous,” it’s no wonder teachers, and parents are noticing that students lack basic interpersonal skills needed to be successful in the real world. This is why more and more adults are actively looking for ways for young people in their lives to connect with others and improve their communication skills. 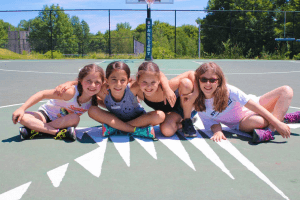 Camp Starlight is a great option for students not only to spend the summer having fun and trying new things but also provides a safe space for them to work on their interpersonal skills, meet new people and build relationships organically. This entry was posted on Monday, January 28th, 2019 at 2:47 pm	and is filed under Summer 2019. You can follow any responses to this entry through the RSS 2.0 feed. You can leave a response, or trackback from your own site.